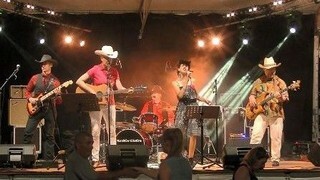 Rockin 'Chairs, the New Country band you need for your entertainment and events: concert, ball, line dance, festival, club evening, western evening, gathering of bikers or American cars, musical atmosphere, this on Paris , The Yvelines, the Paris region (Ile de France) and all over France. 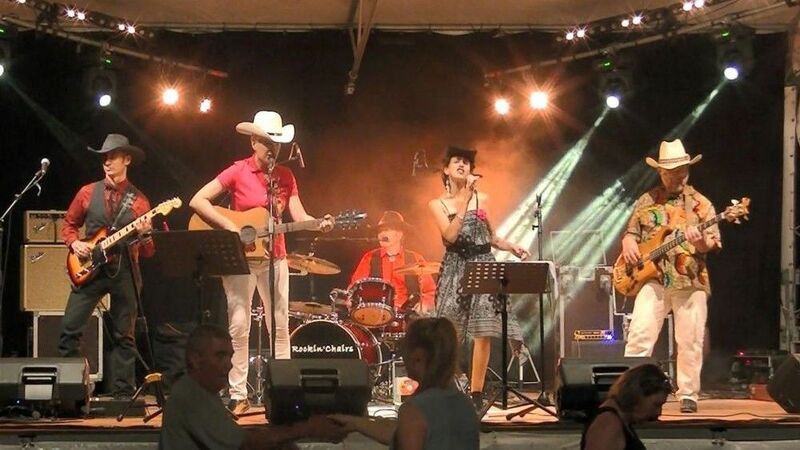 French "new country" music band in Paris region, Ile de France, Rocking' Chairs takes the best of New Country, melting pot of traditional country music, rock, folk, pop and blues. 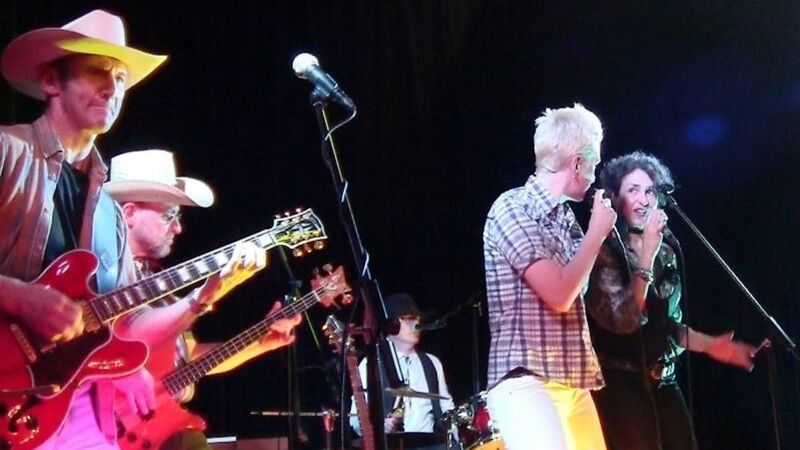 Influenced by Alan Jackson, Brad Paisley, Carrie Underwood, Rascal Flatts, Vince Gill, Dixie Chicks, Sara Evans, The Hellecaster and Tanya Tucker, the communicative energy of Rockin' Chairs irresistibly moves your Santiags and trains you, like authentic cowboys, through the large spaces of the Wild West! Rockin' Chairs' festive repertoire will fulfil your expectations and will delight the public, whether it's for your country music festival, US-themed event, dance online (Line Dance), for your American cars demonstration or bikers meeting, for your private party (wedding, birthday, ...), for your equestrian demonstration or for your rodeo contest. As a bonus, this orchestra can propose you a repertoire of acoustic picking typed bluegrass, more intimate... and very appreciated at aperitif time! 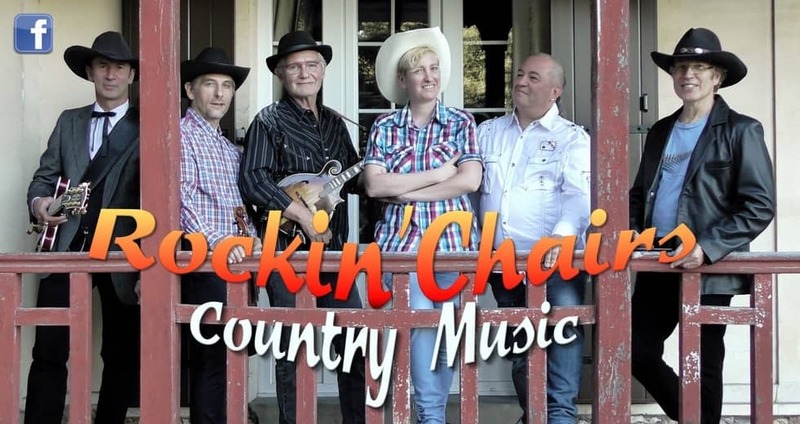 Rockin' Chairs travels all over France and its European neighbors. The group has its own sound and lighting equipment. For any concert, dancing animation, musical atmosphere, do not hesitate to contact us (contact details at the page bottom). 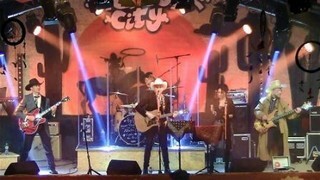 See you on stage and on the dance floor, yeehaaaaa...!